I’ve just started reading Focus, by Daniel Coleman. If a book may be judged by the degree and speed with which it raises one’s blood pressure, I have to say this is pretty good value. I’m only 3% in, according to my Kindle status bar, and already I’ve found three things to disagree with. And let’s not forget that that 3% includes all the “prelims”, i.e. title and copyright pages, table of contents, and so on. “It’s hard to teach comma rules when you’re competing with World of Warcraft." To listen to some people, you’d think there were no distractions at all until Facebook and World of Warcraft came along. What do they think we all did as kids: sit round looking at the walls for hours on end? There have always been distractions, and plenty of them. But to anyone who thinks “Ah yes, but there are so many distractions these days”, I say: “So what? You only need one." Does the “competition” arise from sleep deprivation? If you can’t teach comma rules because the pupil is falling asleep having been up all night playing World of Warcraft, then that sounds like a whole-school issue to me. The school needs to intervene, such as by calling the parents in for a chat, or even, if it comes to it, informing the child welfare service. Certainly, it’s not a situation that should just be accepted. Are pupils playing the game in lessons? If that’s how the competition is arising — the teacher is trying to explain grammar rules while the kids are playing World of Warcraft — that’s a behaviour management issue. I’m sure the teacher didn’t mean her comment to be taken as literally as this (I hope not at least), but if it is the case then one strategy to adopt is making the kids have their devices on the desk in front of them where the screens can be clearly seen. Another strategy is to use the school’s disciplinary procedure. Is World of Warcraft more interesting than commas? I don’t think commas are inherently boring, are they? A panda walks into a bar and orders a sandwich. When he has eaten it, he shoots another customer, and then heads towards the door. “Hey!”, calls the barman. “Why did you do that?" He takes out a dictionary and turns to the entry for Panda. It is defined as “A creature which eats, shoots and leaves.” That unwanted comma makes the world of difference! It’s quite an appalling admission, if you think about it, to say that you cannot make your own subject interesting enough to compete with a game. Why not use the game play as the basis for some creative writing? Why not link it to the idea of computer programming: one aberrant comma could render the whole code useless. When I was training to be an inspector of the Office for Standards in Education (OFSTED), I observed a lesson, with my mentor, in which some pretty key things went dreadfully wrong. There was building work going on outside, so you could barely hear what the teacher was saying. The electronic whiteboard was in a corner of the oddly-shaped room, so half the class couldn’t see it properly. The lesson, consequently, wasn’t much to write home about, but I decided to give the teacher the benefit of the doubt by judging her lesson to be “Satisfactory” (a category that was in use at the time). “Why?”, asked my mentor. ”She is in charge, and is therefore responsible for whatever happens in her lesson. She could have called the kids over to the whiteboard. She could have given them worksheets, or spoken to them in small groups, rather than try to shout above the noise of the pneumatic drill. There are lots of things she could have done to make the lesson better." I thought he was being too harsh, but when I reflected on it afterwards I decided he was right. I have my doubts over the efficacy of such observations, given the fact that teachers feel obliged to give a “proper Ofsted lesson” in which they’re seen to be performing, and given the fact that, in those days at least, there was an expectation that teachers would make use of educational technology in their Ofsted-observed lessons. Even so, my mentor had a point. It seems to me that if you were to take that teacher’s comments to their logical conclusion, nobody would ever bother trying to teach anything, because as I’ve said, there are always distractions and there always have been. 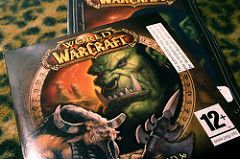 If a teacher accepts that World of Warcraft or anything else is more interesting to her pupils than what she wants to teach them, she's denigrating her skills and professionalism.